Nyskapat vatten (vatten kommer sen...) för strandpadda på Falsterbo skjutfält. In the Natura 2000 area at Jægerspris Shooting Grounds the work to safeguard general biodiversity and EU-Habitat species like Triturus cristatus, Pelobates fuscus, Rana arvalis, Lacerta agilis and fragile butterfly species goes on. 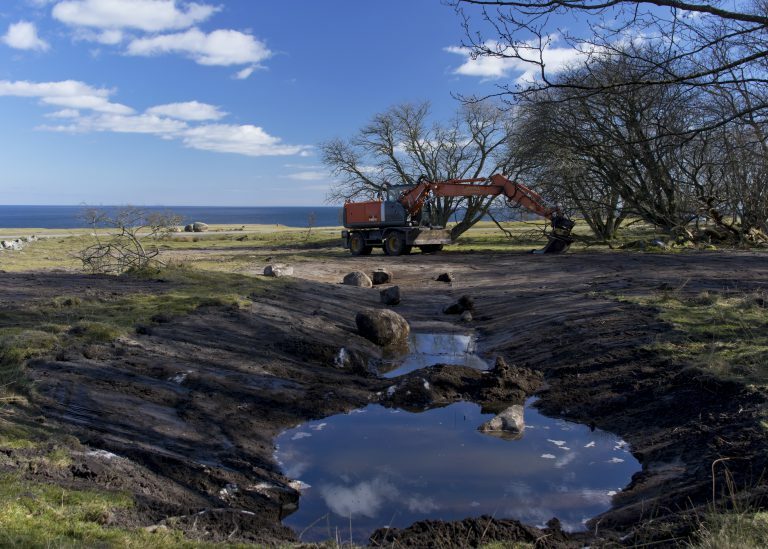 This autumn the Danish Defence`project leader Kirsten Thomsen, Forester Peter Hagdrup and Amphi Consults Peer Ravn restores and establishes new breeding ponds for amphibian, creates hibernation sites and removes invasive plants like Solidago canadensis in cooperation with our very skillfull "digger" Tommy! Last week we had a workshop in Denmark visiting some military fields looking at different methods for nature conservation. Good work Denmark. 200 nye indbyggere flytter til Agersø! 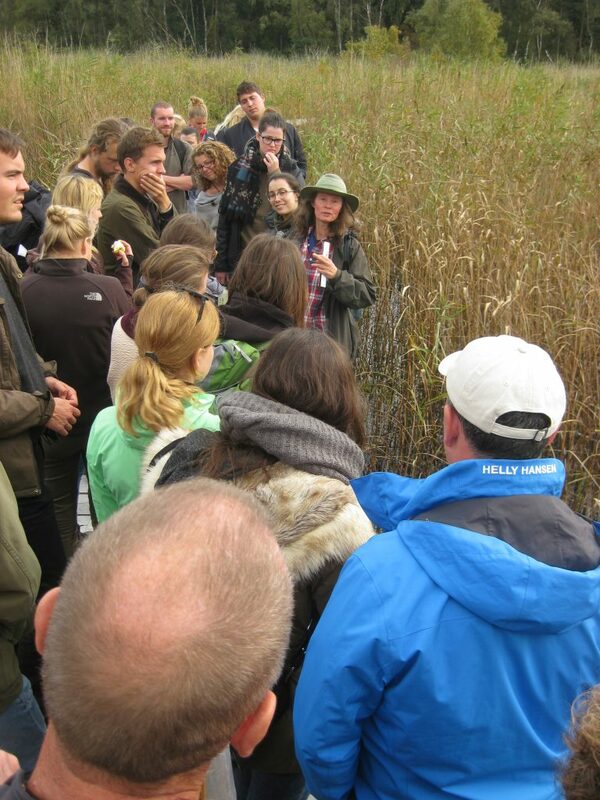 The Semiaquatic LIFE project area Bastemose on Bornholm was presented for students from Copenhagen University, studying Nature Management. The students originates from 10 different countries and participated actively in discussion about management and conservation of diving beetles and water soliders.